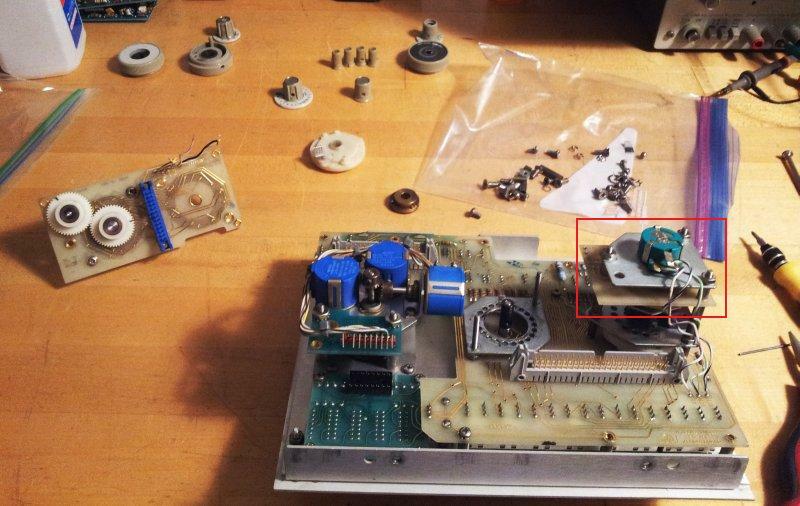 Mostly, the well-known issues for this 8569B: a bad fan, a bad 5.2 V supply capacitor (see the 5.2 V rail ripple below! ), some issues with the display adjustment, and a bad control assembly with contact broken off. 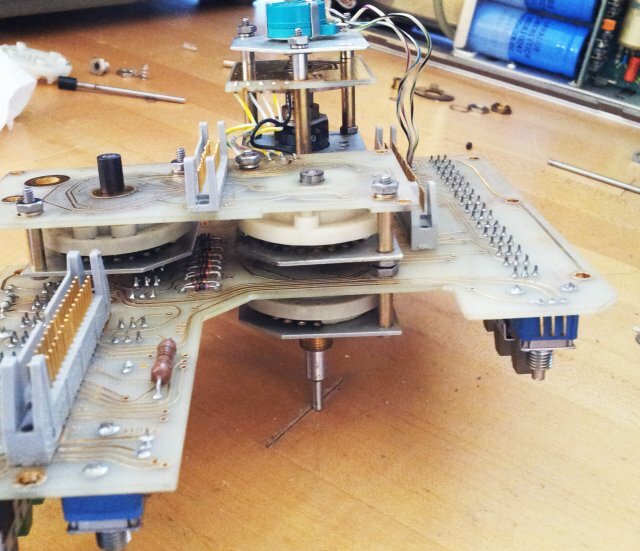 The control assembly, interestingly enough, somebody else had fixed some part of it before, from the handwriting, an American. Still some minor issues with the Z axis control (brightness control), but this will be fixed soon, and then the analyzer will be thoroughly tested and will find good use again. 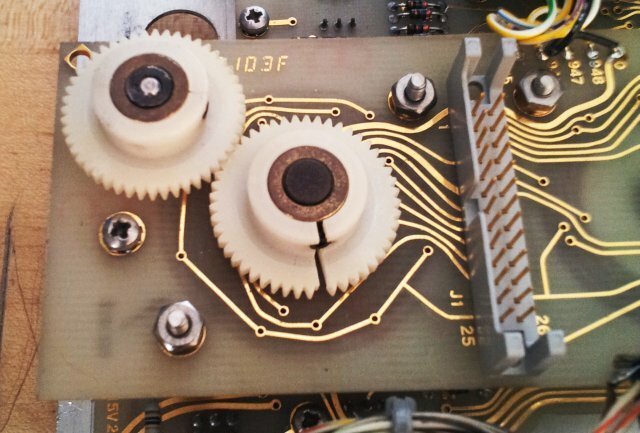 Another 8569B repair, dealing with the aging plastic of the front panel assy rotary switches. 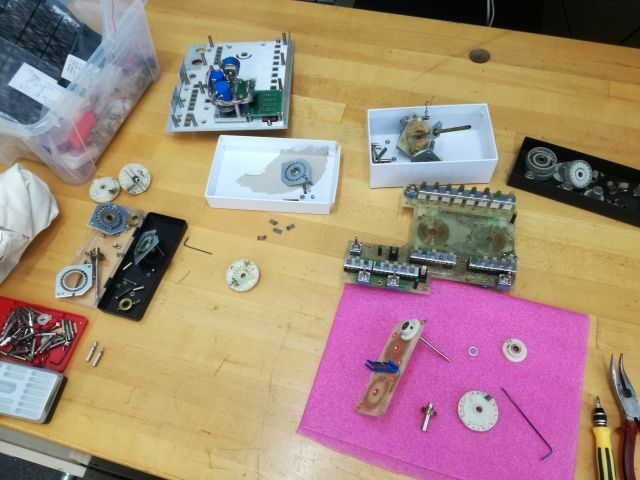 Having the variable ref level encoder fixed earlier (ref level encoder repair), the level rotary switches were fixed, by using some small (metric) M1.2×0.25 brass screws. Most important – the holes to be tapped for the screws need to be drilled quite accurately, using a 0.8 mm drill. This is best done on a milling machine or precise drill press, or with a very steady hand. If you don’t have a drill press, make sure all is as straight and perpendicular as possible. 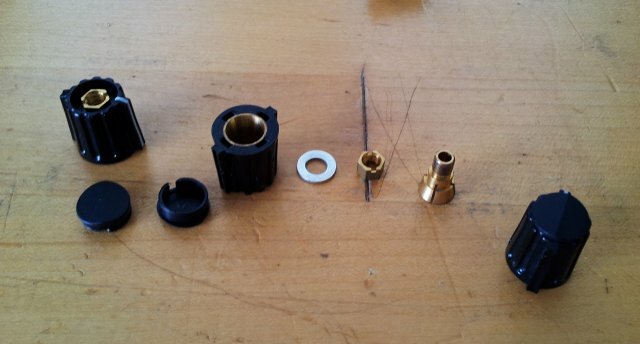 A M1.2×0.25 tap is then used to thread the parts, make sure to start the tap perpendicular to the surface (a single tap, or machine tap will be fine – no need to use tap sets). M1.2 screws will fit pretty snug through the contacts, so you might need to use a small screwdriver or similar tool to slightly enlarge the holes of the contacts. 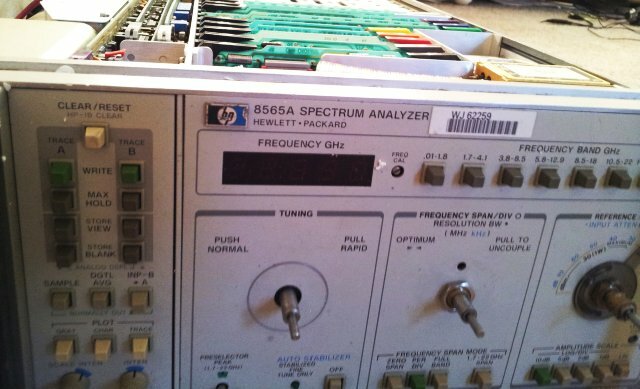 Having seen quite a few of the 8569A, 8569B, and 8565A analyzers in the shop recently, once common issue are the controls. 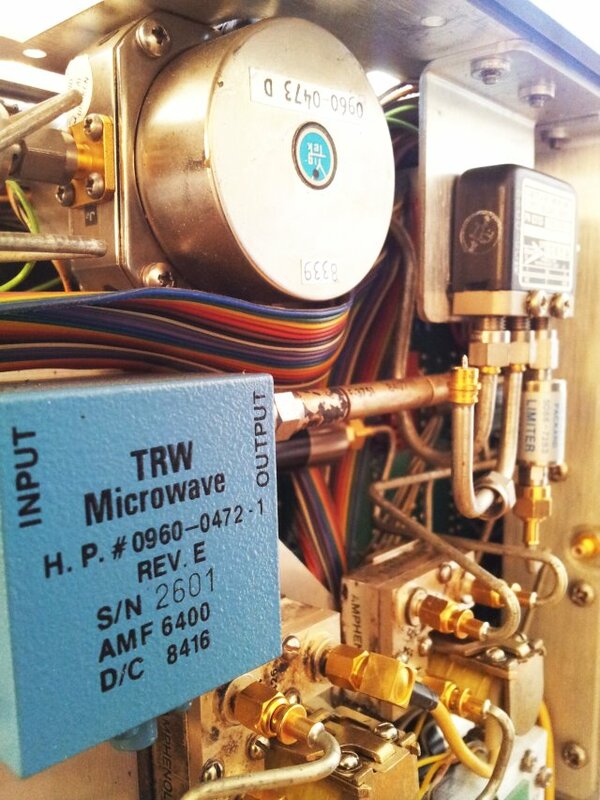 The 3-knob operation is one of the features that makes these long-established machines still desirable for today’s work, in particular, for general test and troubleshooting in the microwave region, up to 22 GHz, and above. 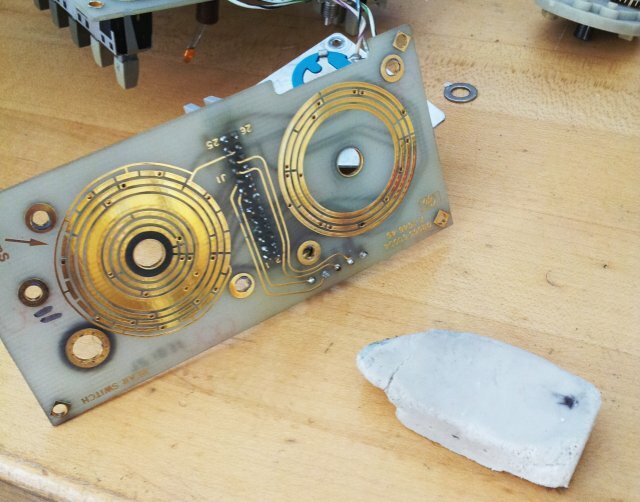 At the same time, these knobs were made of plastic, and they age – most of they show cracks, which will sooner or later require difficult repair. 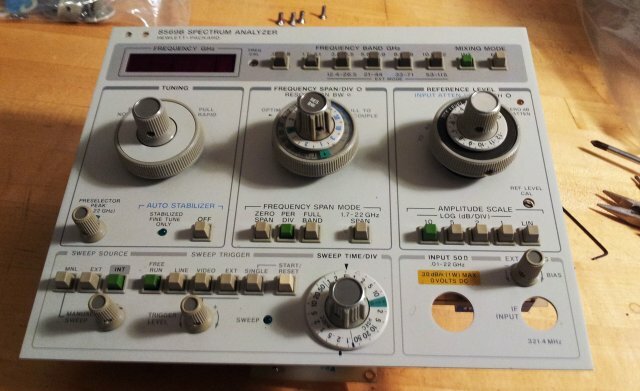 In the current case, I am dealing with the unit described earlier, it is a 8569B, and someone had fit a 8565A control pad – all of the knobs more or less cracked and useless – I might use their remains to fix upcoming instruments. So, what do to? 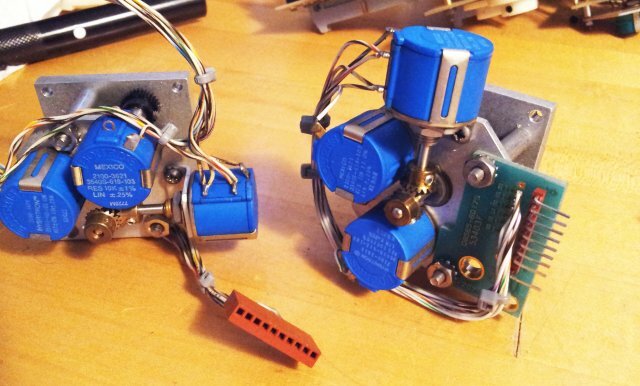 Well, decided to go for a rigorous approach, and provide completely new knobs. 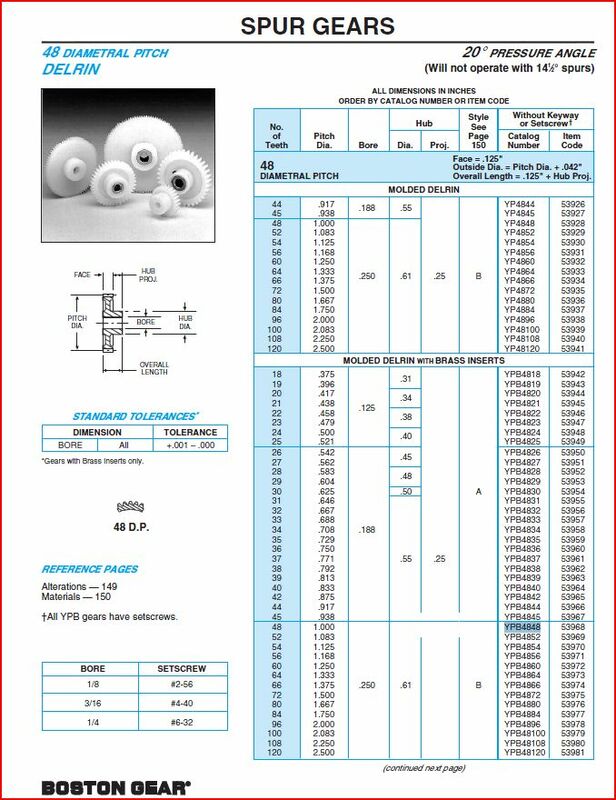 These use a coaxial design, with 1/4″ outer shaft, and 1/8″ inner shaft. 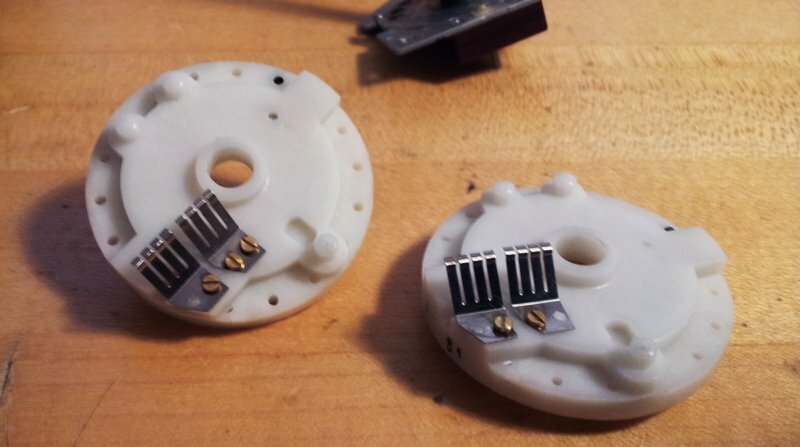 For the small controls, just ordered a few Augat/Alco knobs, which are quite sturdy and easy to mount. The large knobs, I custom machined back home in the main workshop, using my little CNC lathe (kind of an overkill) – they are made from POM/Delrin plastic, with some brass inserts, and 4-40 set screws. The knobs are knurled at the outside – one turned out a bit black, because I didn’t clean the tool properly… fair enough. 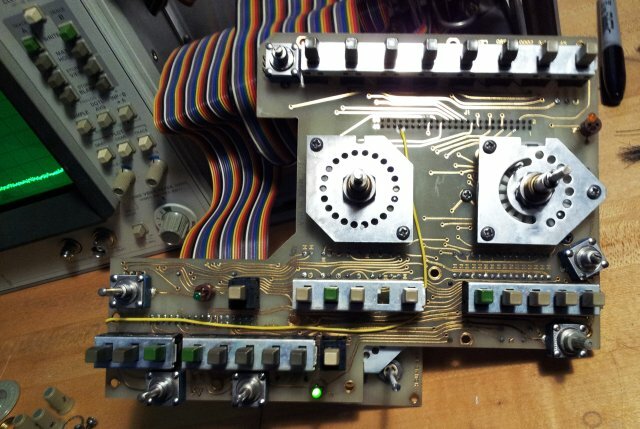 The only downside – there are no markings on the knobs, like for the originals, but such markings aren’t really needed for the 8569B which has a full on-screen display of all settings. Also the ‘lock’ positions for coupled BW-Span still works! 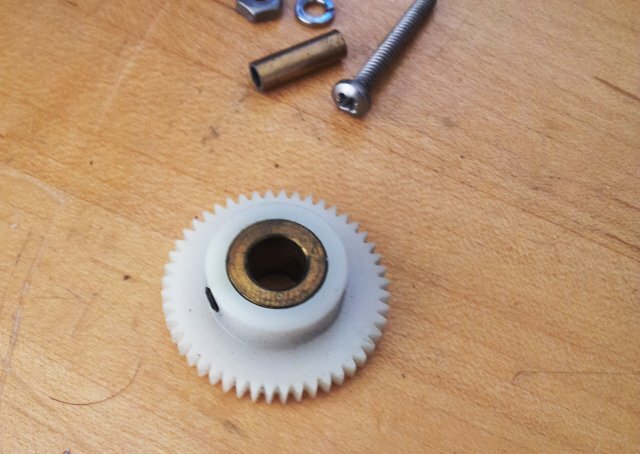 All in all, I’m pretty happy with this repair, estimated useful life of the new knobs – 30 years, and replacements can be made, as we go. But maybe, by then, the unit might be really obsolete, although that’s the thing I am least sure about! It took the best part of two hours to find the reason for the mixed mode malfunction-the lacking sweep time denominator issue. 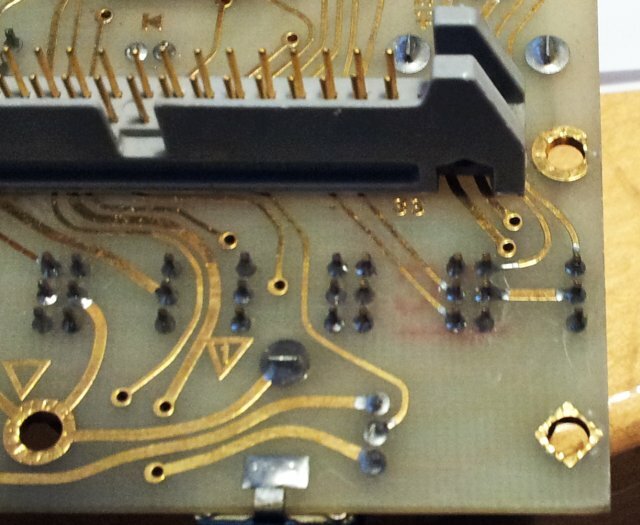 By comparison of all 84 lines going from the main front panel assy no. 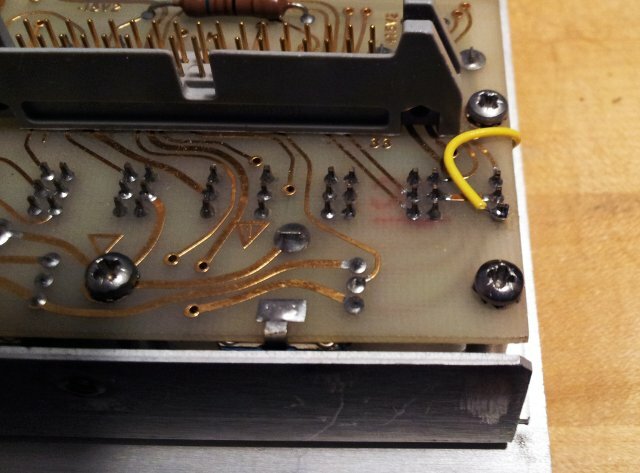 08565-60002 to the analyzer, found an issue with the J1-43 line, MNL SWP (manual sweep). Above, old version (08565-60002 A-1645-45), below new version (08565-60002 B-2430-53). No big deal, added a yellow wire, to connect the pushbutton contact to the J1-43 line. A quick test, and it is working just fine! Now, the only thing remaining are the knobs, but this will have to wait a few more weeks. Next step, some contact cleaning, using a soft eraser, and some isopropanol. 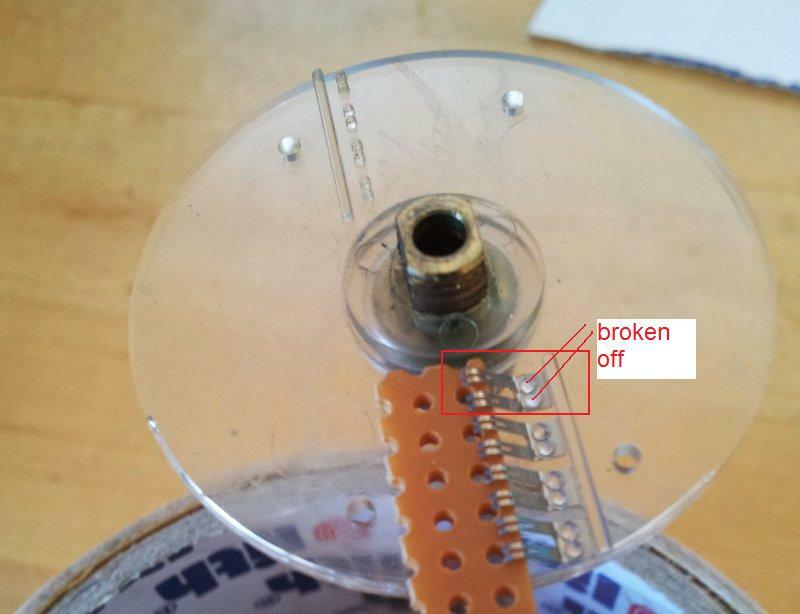 Defective bias pot – also here, a spare fitted. 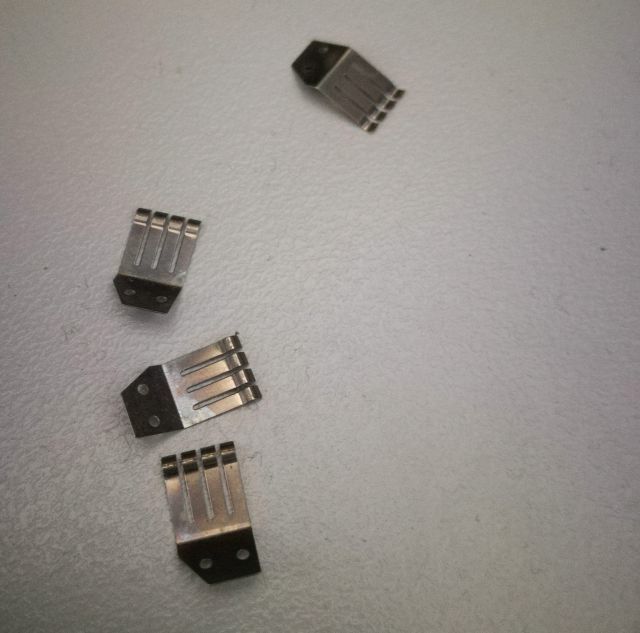 Some of the contact fingers broken off-also there were fixed, and everything put back together. 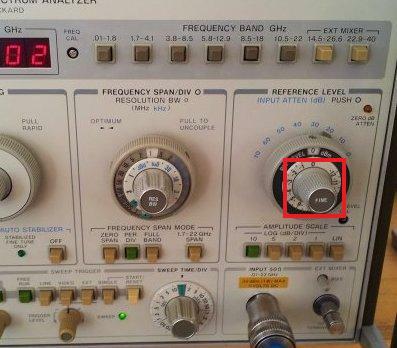 Finally, noticed that the 10 dB segment of the 70 dB input attenuator (5086-7365) is stuck. 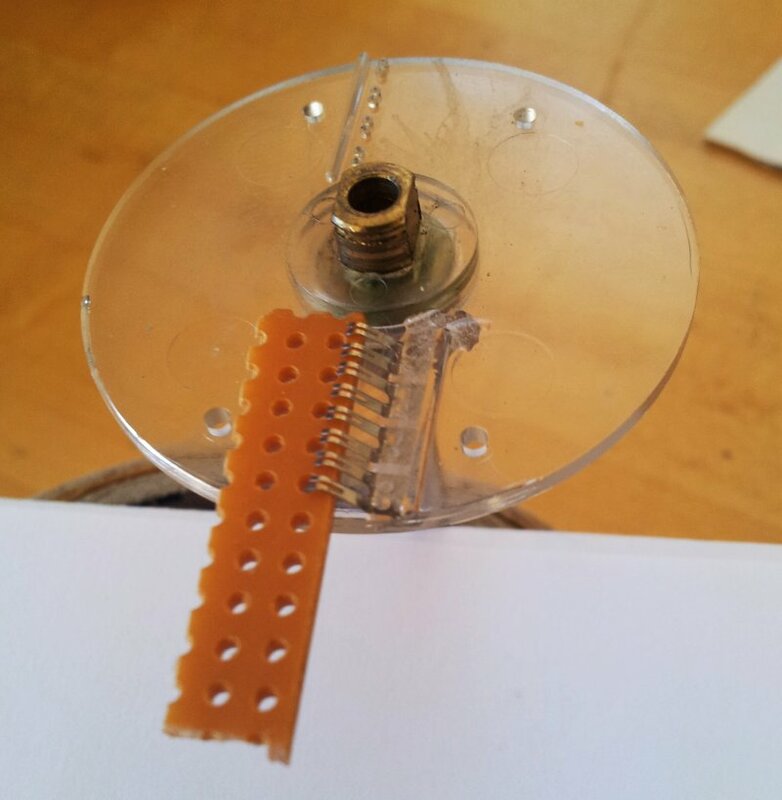 Nothing dramatic, just one of the little O-rings holding the contact actuators broken off, and parts of it stuck in the contact. 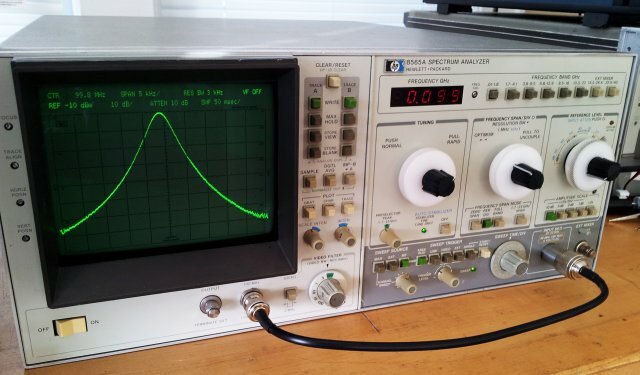 -unfortunatly, still missing something – the sweep time indicator is not showing a time denominator (µs, ms, sec), and the analyzer remains in the digital mode for all sweep time settings – it should switch to mixed analog-digital mode (at the time the 8569b was designed, there was no easy way to run analog-to-digital converters any faster than a few kHz without causing exorbitant cost, so the 8569b uses the digital storage mode only at the slower sweeps). 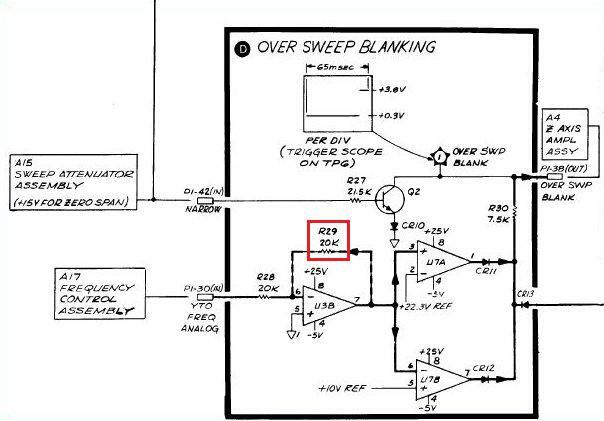 (1) Identify the issue with the sweep time indicator and missing transition to mixed analog-digital mode. 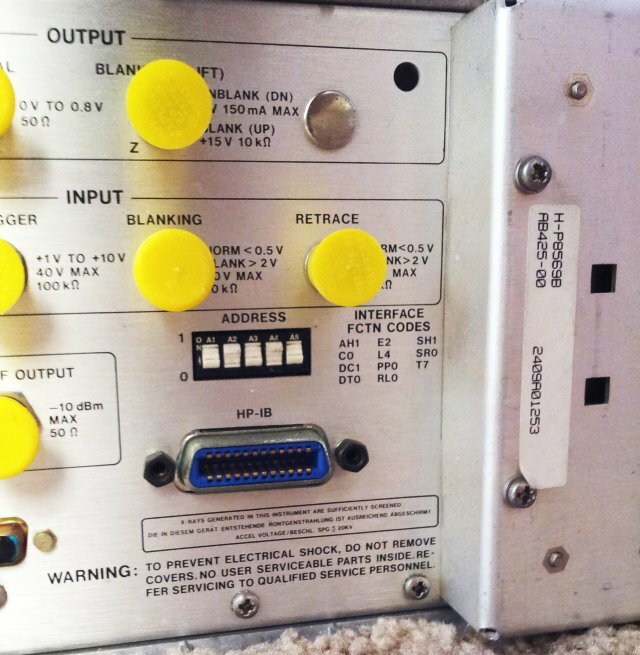 Maybe related to the 8565a control fitted to a 8569b? 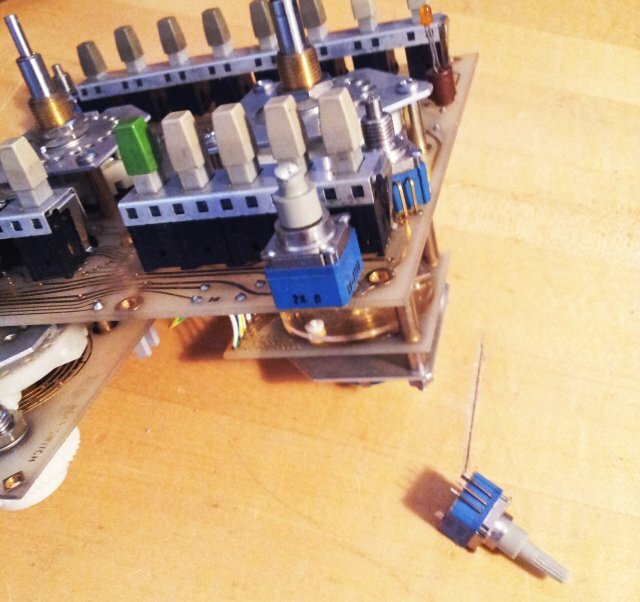 – Checked by substituting a control assy from a good 8565a – working just fine with the 8569b – accordingly, this is not the reason for the fault. 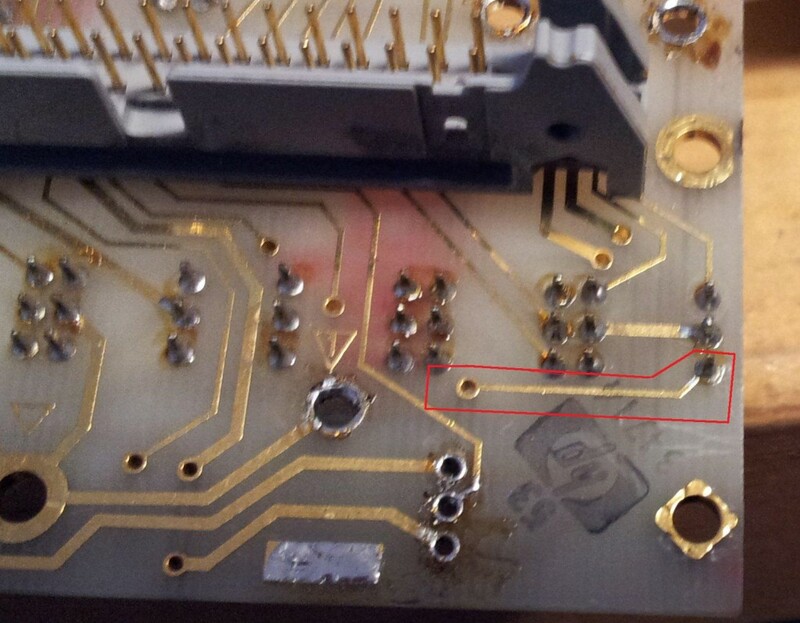 There seems to be a defect on the main front panel board. Maybe a bad switch contact, or a broken trace. Will be quite a pain to test will all the cables, switches and screws. 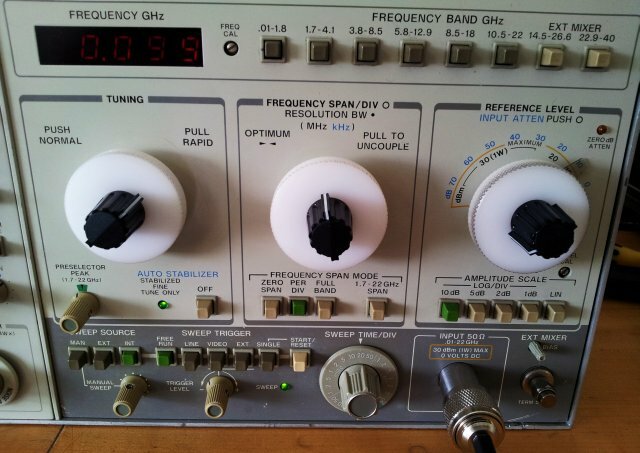 (2) Manufacture the control knobs for the frequency-bandwidth-span-atten-ref level setting. These were missing and don’t have spares at hand/these wheels are getting brittle anyway. Will make a new set from aluminum alloy, during next stay, in Germany, the only place with access to adequate machine tools. 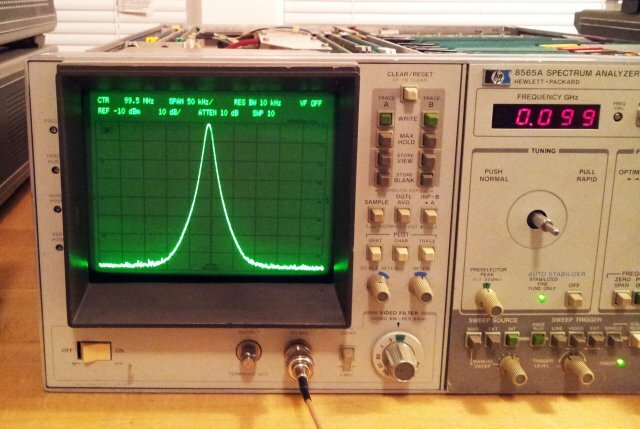 After two very busy weeks, finally, a chance to have a look at the 8569B analyzer (with the 8565A control). 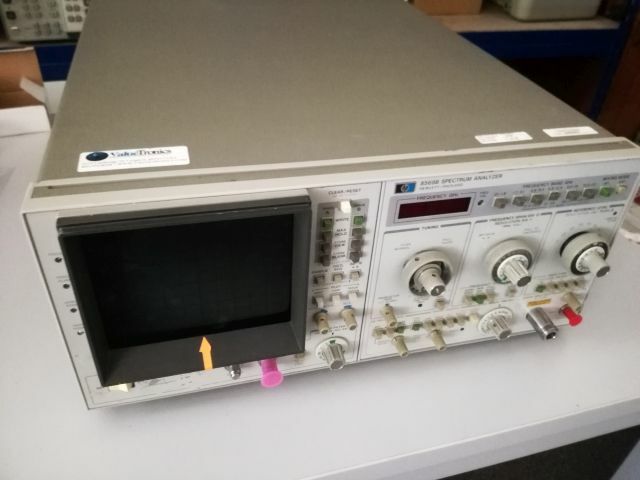 No display, no way to find out if at least the essential items are working – these include the input mixers, the YIG filter and oscillator, and other GHz frequency components. First tests showed that the power supplys are all working and well adjusted; still no display. 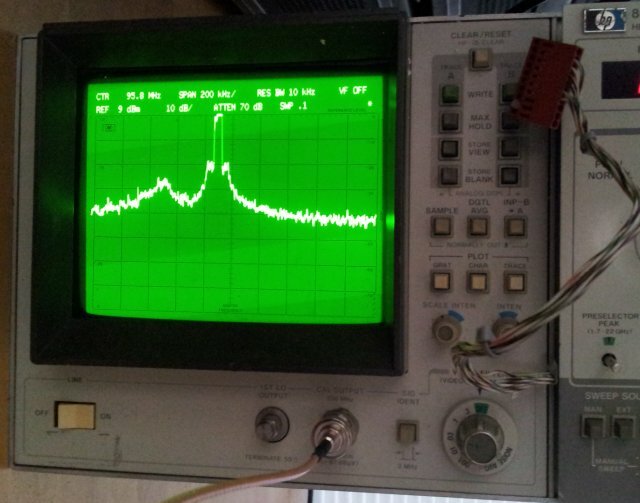 Connected a scope to the rear panel output – sweep is working! 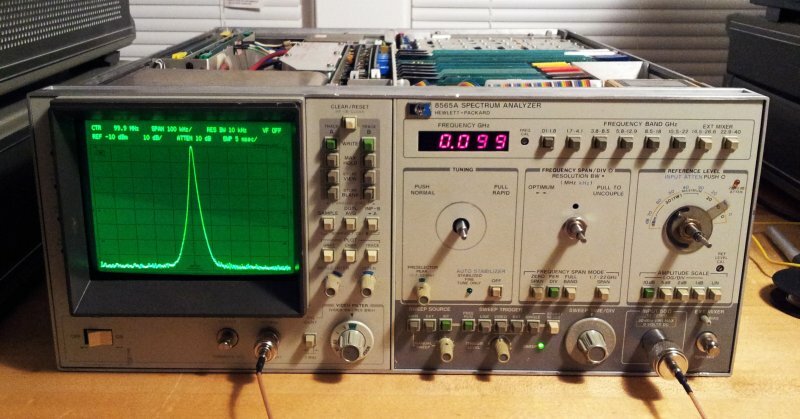 Really great, a bright CRT, and well-focused. 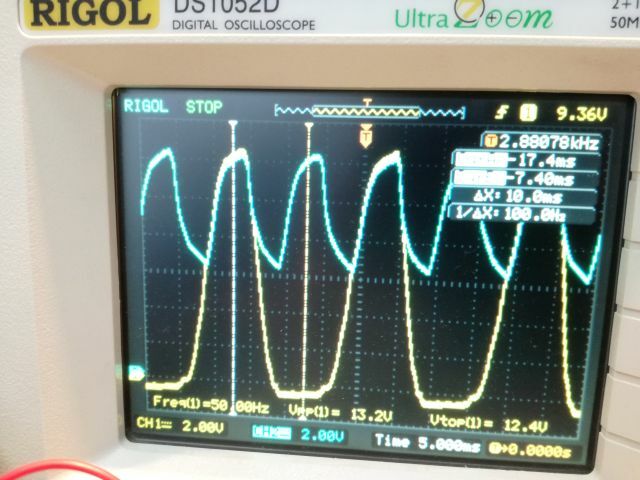 And, it is actually showing a signal – basically, a working unit. At least, a start. Now we just have to see how to get the controls fixed. 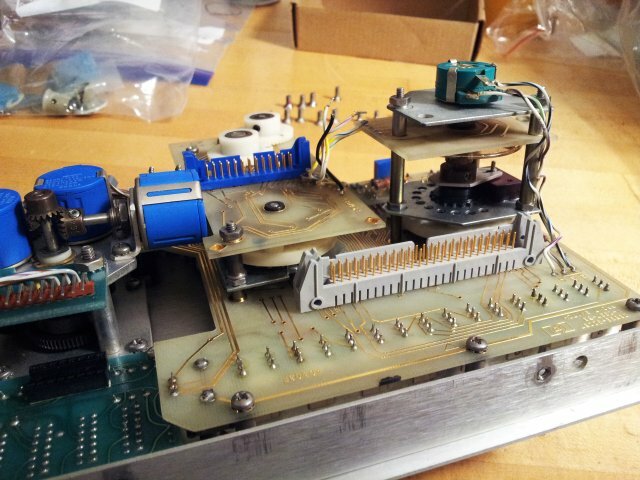 As you can see, the main unit, including the CRT and electronics, is a 8569B, but someone fitted a (rather incomplete) 8565A control assembly. Not a big deal, normally, but the control assembly fitted here has virtually all the common defects: missing contact wipers, and missing/defective knobs. A quick test – the CRT seems to be working, albeit, it is now dark after a few minutes of operation – most likely, just a dead capacitor, but the CRT itself is definitely pretty good. Also the CPU seems to work just fine. 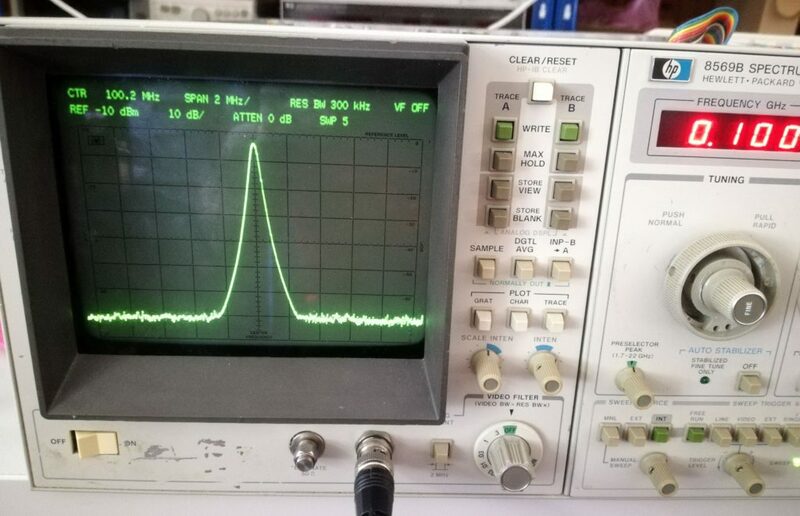 The unit has a lot of RF goodies, like a 22 GHz 3-stage YIG filter, a YIG oscillator, a 22 GHz mixer, various 22 Ghz coaxial relais – but with another parts unit already at hand, this unit seems to be to precious to scrap. 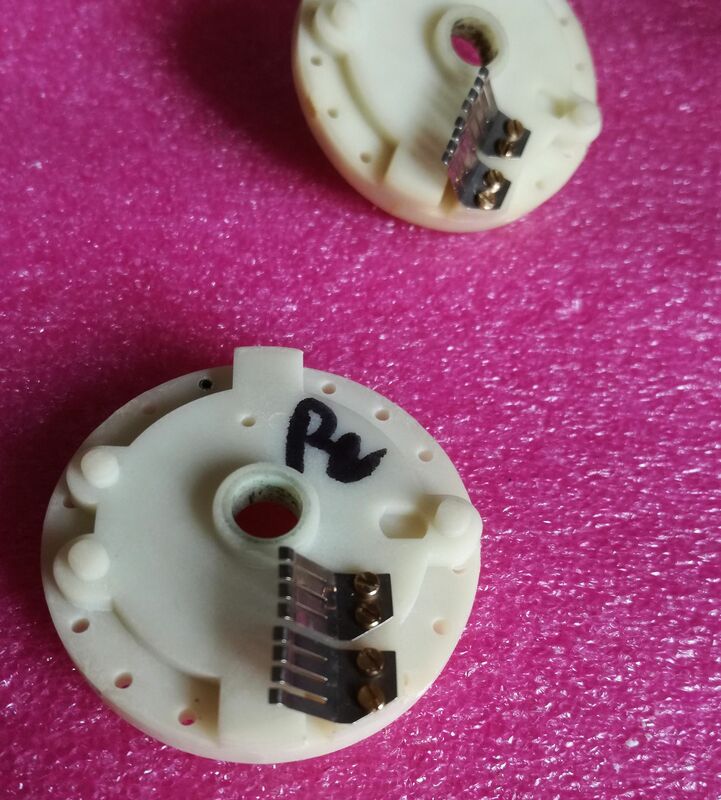 Well, need to think about it, always wanted to provide an electronic replacement for the aging 8565A 8569A/B control assemblies. Maybe, a good project for next winter!